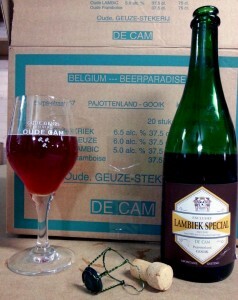 The De Cam Special is a lambic blend with 3 fruits. This brew was introduced on the 1st RB Winter Gathering in December 2012 (label-less), but up until now it was unclear which fruits were added to this fuit-lambic. Luckily all the bottles have there proper labels. 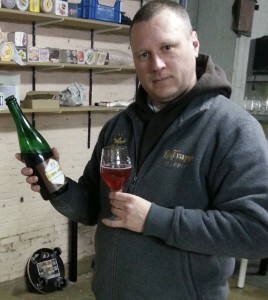 To clear the confusion to Belgian and Scandinavian owners of De Cam Special with label-less bottles: the fruit-lambic was made with whole yellow-gooseberry, blackberry and sour cherry. Along with the De Cam Special, Belgiuminabox also opened up the De Cam Framboise-Lambiek to the beershop. Ask Kurt to combine De Cam fruit-lambics to optimize on shipping and get free De Cam glassware. Oh yeah, Karel gave me a taste of his new Framboise-young lambic direct from the keg, 33 % fruit per 100 litre !! Pure nature, awesome !! 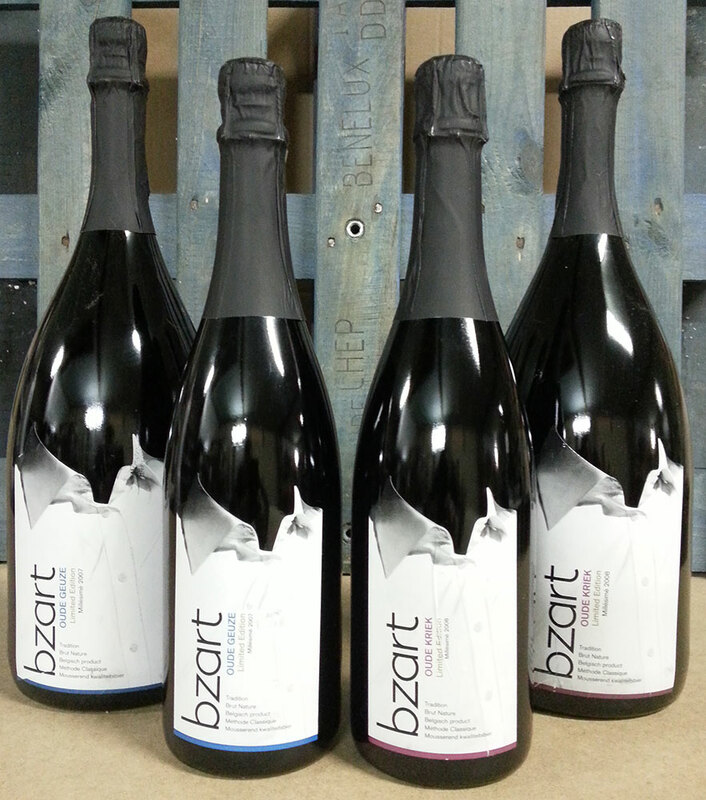 In continuation of Oud Beersel’s Bzart series, Belgiuminabox is launching the limited release of the Bzart Oude Geuze and the Bzart Oude Kriek. 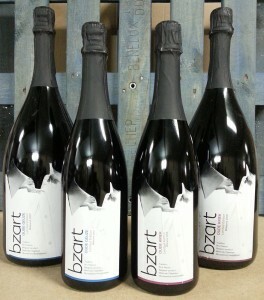 I was pleased to learn the Bzart Oude Geuze came to market late December 2011. The launch of the Bzart Oude Kriek, a blend of Oude Lambiek and the Oud Beersel Oude Kriek 2008 was a complete surprise ! An even bigger surprise to me was that both Limited Edition Brut Nature were coming in 0.75 L & 1.50 L bottles. The 1.50 L bottles are very limited, so be quick to secure these rare Millésimé brews !! Only 1 bottle per person, sorry.